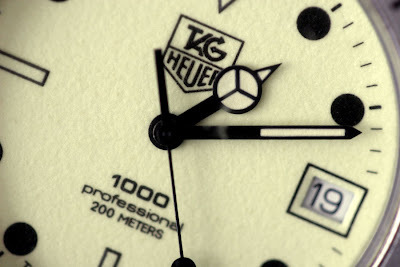 This is the watch that started my interest for Heuer and Tag Heuer. I found this watch in a pawn shop in Belfast in Northern Ireland while I was there on a assignment as a photojournalist back in 2005. A deal was made and I never looked back. 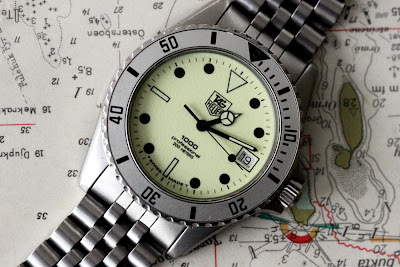 I quickly moved from Tag Heuers to vintage Heuer so this diver is no longer a part of my collection. I often regret selling it, I is a very nice diver in a all grey design. The ref.number is 989.113N. 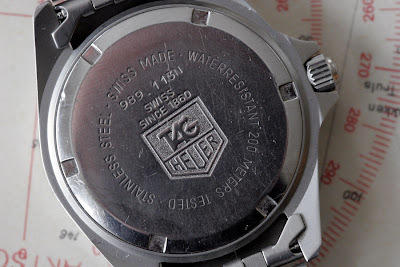 The "N" indicates that this is a watch made after the merge with Tag in 1986 and that the movement is a ETA 955.112. This movement is much slimmer than the earlier ETA/ESA quartz movements used in the Heuer diver watches. The case back on this Tag is much lower in profile. Great luminous face and black hands. 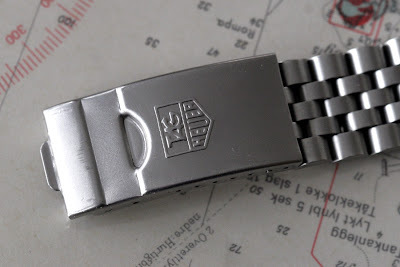 Original jubilee bracelet with Tag Heuer signed clasp. 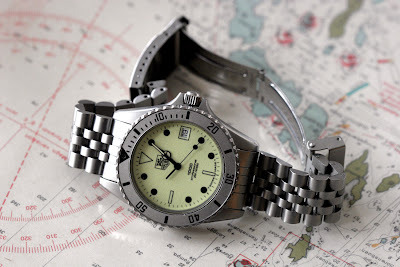 These Tag Heuer / Heuer 1000 diver watches is great value for money. I highly recommend one if you are looking for a daily beater.